Thank you for subscribing to updates from keithfife.com. 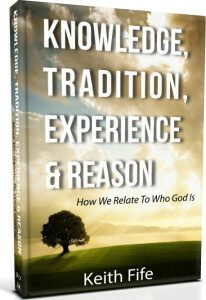 In addition to the FREE eBook, “Knowledge, Tradition, Experience, & Reason” you will also receive my blog posts directly to your inbox as well as other valuable information. If you enjoy the book or the posts be sure to share them with your friends using the Twitter, Facebook, or Email icons at the end of the posts. iPhone and iPad: Before you download make sure you have a “Reader” app on your phone or iPad. I use iBooks, it’s free from the apps store. 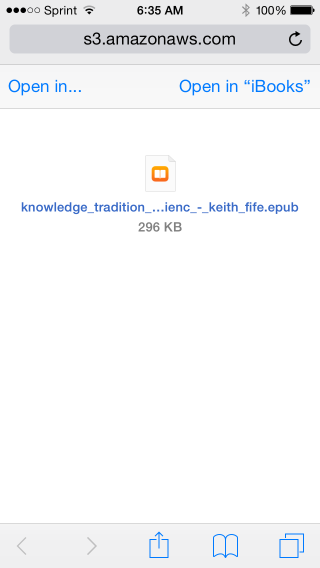 When you click the download link (EPUB format is recommended for iPhone or iPad) select “Open in iBooks (See the screen shot below) and you are good to go. You can follow the same process for the PDF mobile format. 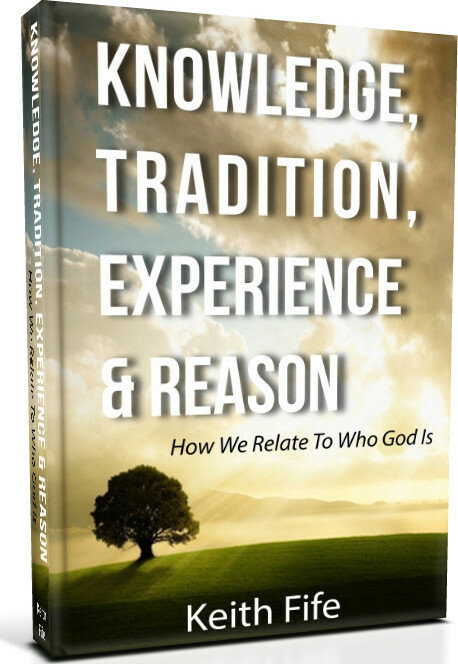 The book in EPUB will be in the Book section and the PDF will be in the PDF section of iBooks. Android: You should have an EPUB reader on your android (the one I tested was just called “Reader” and I found it in the “All Applications” menu. If not, then go to the Google Play Store and download and install one. When you click the download link (EPUB looks best) a new page opens and you will see an arrow pointing down along the top where you “Notifications” are listed. Swipe down from the top and all your “Notifications” will appear including the eBook you just download. Click on the eBook (which should say “download complete”) and it should import into your reader once you click it.